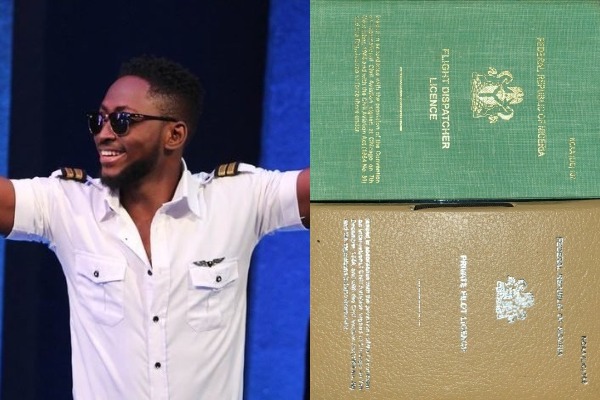 Winner of Big Brother Naija 2018, Miracle Ikechukwu has obtained his Private Pilot License (PPL) and Flight Dispatcher License (FDL). Miracle, while posting a picture of his licenses, wrote, “Today is also my pillar’s birthday (my sweet mum). Thank you mother for always being there for me through the journey. “To all my lovely fans, I thank you all for your patience and support. We made it. PPL in the bag. Happy new month,” Miracle said. The ‘Double Wahala winner was in Aviation school prior to the show. He had expressed his desire to obtain all piloting license. Miracle’s total winning prize included N25 million cash, a sports utility vehicle (SUV) worth N12 million and a trip for two valued at N4.7 million, as well as television and other electronic items worth N3.3 million.